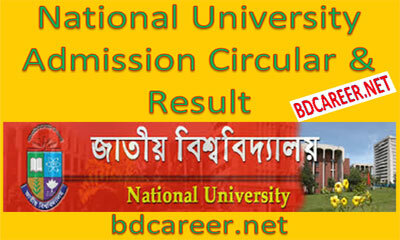 National University Admission Circular & Result 2018-19. 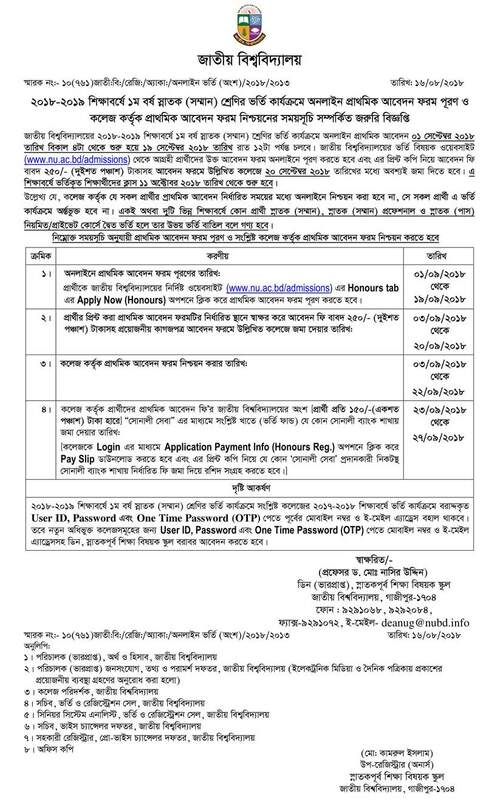 National University Admission Notice 2018-19 published by admission related National University website (www.nu.edu.bd/admissions) or admissions.nu.edu.bd regarding online 1st Year Honour’s admission for Education Year 2018-19. Submission of Application Fee National University Part (TK 150 Fee) to College: Within 23 September to 27 September 2018. NU Honours Admission Result 2018-19: May be October 2018. NU Admission Test Result 2018-19 published Latest on October 2018. NU <space> ATHN < space > Exam Roll Send to 16222 Example: NU ATHN 5256242 Send to 16222 Available Operators are: Teletalk, Banglalink, Airtel.